A Make Up Gathering is coming !! July 26, 2017 By Sharon Ball with Comments Off on A Make Up Gathering is coming !! I have been waiting and waiting and yes I have waited for some time more for there to be a make up event in Manchester. A place where artists could come together, showcase their work. For businesses I knew could have opportunity to reach their community, advise educate and sell there products as well as network. So I waited some more……………………. Then I questioned myself. What was I waiting for? So when I met at a networking event the staff at The Bridgewater Hall https://www.bridgewater-hall.co.uk/and told them of the need for an event that inspired and showcased Make Up artists of all types I couldn’t resist. I booked it and then began to fill it, with people I knew loved to share, educate and are passionate about make up and this amazing city. The Judges involved are : Melanie Doyle owner of #MelVicAcademy http://melvicmakeup.com/based in Warrington who offers make up artistry courses on levels, Maria Malone-Guerbaa http://www.mariamaloneguerbaa.com/an artist who’s face painting incorporates fine art, illusion and beautiful application and the simply stunning Vivienne Lynsey https://twitter.com/vivienne_lynseydrag queen songstress with a passion for make up . Make Up and Networking ? Exhibitions and my hot feet. 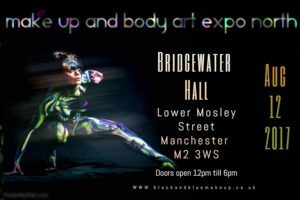 UMAe more than just a weekend away……. Sharon Ball on Where to now? clash royale game on Where to now? clash royale hack|clash royale trucos on Where to now?